Spring is here and the Mid-Minnesota Builders Association 2012 Home Show is coming March 30th through April 1st at the Brainerd Civic Center. 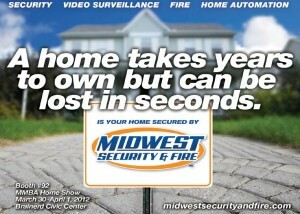 Once again Midwest Security & Fire will be exhibiting our latest security products and services for home and business. We will be located in booth space #92. Our staff will be there to demonstrate the latest features and services we have to offer. We are excited to show off our new Home Control features including thermostats, lighting, and locks. We can help you monitor and control your home from any cell phone using our MyAccess text control or Virtual Keypad application. Come see us at the show to find out more information and enter for a chance to win a Custom Installed Security System. Midwest Security & Fire, Inc. is a local family owned security company since 1978. We specialize in security systems, fire alarms, surveillance system, and access control. We provide UL listed monitoring for all systems. 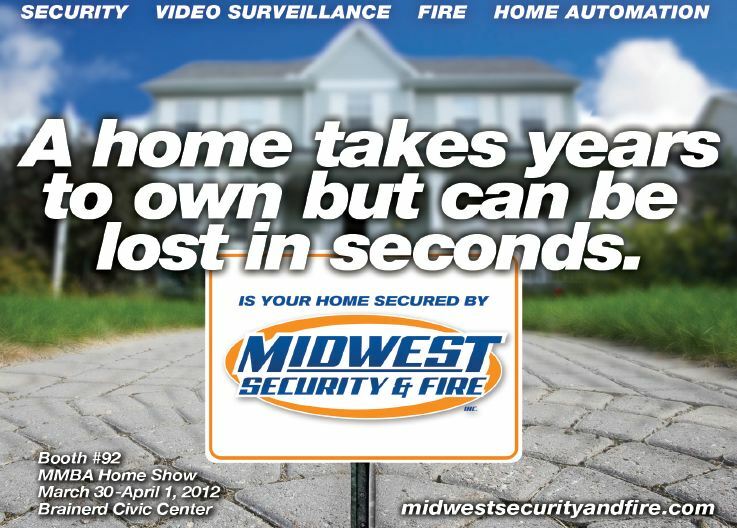 Find our more by clicking http://www.midwestsecurityandfire.com/ or calling 218-825-8844 for a free security review.